IN POST-WW2 Europe, the idea of unity was eagerly embraced by those that had been most affected by the world wars that had torn the continent apart. Equally, the concept of healthy competition among nations was welcomed, especially in the 1950s when the iron curtain threatened to create the sort of divisions that sat at the heart of past conflicts. Football, as the game of the masses, was an ideal way to pit country against country in a benign, unthreatening way. Like the Common Market, the French were pivotal in the construction of pan-European sporting integration. This had been fermenting away after a series of floodlit friendlies involving British and continental European teams. It caught on rather quickly and today, we have a veritable juggernaut called the UEFA Champions’ League, encapsulating corporate football in one massive, 79-team beanfeast. Given that only a handful of teams have any chance of winning the Champions League – the current season’s last eight has an achingly familiar feel to it – most teams enter knowing all they can realistically gain, aside from the odd glimpse of the game’s luminaries, is a bulging wallet. But the very notion of entering a competition is the frequently forlorn hope of actually winning a top prize. The unexpected can still happen in football – Leicester 2016, Wigan 2013 are good examples – but the structure of the Champions League is designed to ensure the cream floats to the surface. UEFA gets the champions it wants ( and needs) to keep the coffers bulging and the big clubs happy. Nowhere is the class structure so profound in sport than in European football. UEFA has created a situation that has made the game of football itself secondary to the pursuit of mammon. Money defines European club football because that’s all most of the teams can gain from being involved. The Champions League killed off two UEFA competitions, the UEFA Cup and the European Cup-Winners’ Cup. Now we have an obese Champions League that sweeps-up the top clubs like a vacuum cleaner on steroids and an economy class Europa League that irritates because it’s on Thursday night and feels like football’s version of the graveyard shift, regardless of the fact that it has some big clubs involved, most of whom feel like they have suffered some form of demotion. European football needs streaming, but not to an extent that anything but the Champions League feels like failure. Involvement in UEFA competitions should be seen as the continuation of success – in other words, win the FA Cup and go into Europe, finish in the top four and play in the UEFA Cup. But today, if you’re one of those clubs that regularly comes in behind Barca or Bayern, your best hope is completing the Champions League group and getting jettisoned into the Europa for finishing third. Some people would welcome the return to the old three-pronged approach to European club football: Champions Cup; European Cup-Winners’ Cup (ECWC); and UEFA Cup. The only conceivable way this would be entertained is if the overall vat of cash generated by UEFA competitions could be pooled across the entire tournament portfolio. Not many people would disagree with making the Champions League smaller and in doing so, allowing the other competitions the potential to become stronger. That would certainly be the case for the Europa League, which could absorb the teams from the top leagues that have finished second, third and fourth. But would it make the ECWC stronger? The ECWC was introduced in 1960 after the European Cup had been gathering momentum since 1955. The Inter-Cities’ Fairs Cup was launched in 1955 but didn’t gain credibility for a few years. Nevertheless, the success of the European Cup prompted UEFA to introduce a competition for clubs that had won their domestic knockout cup. It could never compare to the Champions Cup, but it was supposed to be the second pillar in UEFA’s triumvirate, although it was invariably looked upon as the weakest of the three. However, some of Europe’s top clubs cut their teeth on the European Cup-Winners’ Cup including a few of England’s finest. The ECWC represented the first European prize on by an English club – Tottenham Hotspur in 1963. It also provided the world with the glimpse of an emerging Bayern Munich and gave Eastern Europe an outlet for its top clubs. Above all, it paired national cup winners against each other, clubs that had achieved something in the previous season. Certainly, in England, we considered it to have real value, until we fell out of love with the FA Cup and along came the all-or-nothing Champions League. Some are now calling for the resuscitation of the so-called Recopa. Certainly, the cup winners across Europe deserve a reward other than a place among the Europa hordes. Book of Football, in 1972, called the ECWC “a cup for the sake of it”, which was a rather harsh assessment by an otherwise fine and accurate journal. At that time, British clubs had started to dominate the competition and little wonder, for the FA Cup was considered to be the next best thing to a league title (rather than Champions League qualification). But across Europe, the Pokal was never seen as a priority. When Tottenham became the first British team to win in Europe, it was considered to be a major achievement. Spurs were at the end of their golden period of influence, having won the “double” two years earlier and the FA Cup in 1962. The pressmen wrote them off, largely because they had finished behind Everton in the league by six points (no great disgrace) and key man Dave Mackay was injured. Spurs effectively created the magical aura of floodlit European nights at their White Hart Lane home in the post-Munich era and revisited the notion that we were, after all, capable of matching those crafty and cunning foreigners. Spurs beat Atletico Madrid, the holders, 5-1 in Rotterdam with a stunning display of football, but it was end of that great team, for Mackay continued to be injury-prone and at the end of 1963-64, John White was tragically killed by lightning on a golf course. For a long time, though, Spurs seemed to have a special relationship with European football, possibly more than any other London club. That said, it was one of Spurs’ neighbours, West Ham United, who would win the trophy next for England, beating TSV Munich 1860 in 1965 at Wembley, providing something of a curtain-raiser for the England v West Germany World Cup final in 1966. Between 1970 and 1972, Manchester City, Chelsea and Glasgow Rangers all lifted the ECWC. Despite the presence, at times, of some truly big clubs, the ECWC failed to draw huge crowds, even to its final, although the attendances for the initial two-legged final (Fiorentina v Rangers) attracted a combined gate of 130,000. UEFA must take some of the blame for this as the locations chosen often failed to do justice to the occasion. Sometimes, a little common sense might have rescued an embarrassing situation for UEFA by switching venues. 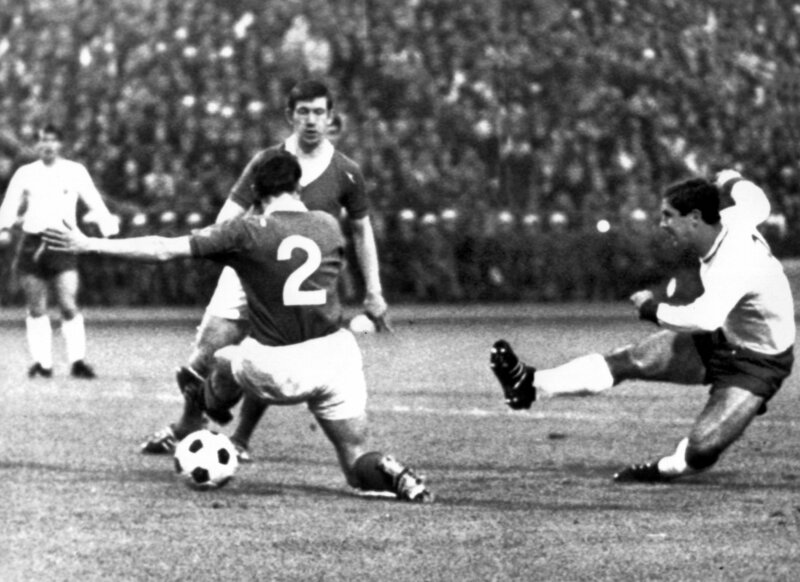 The neutral was never seduced by the ECWC, hence crowds like the sub-8,000 that saw Manchester City beat Gornik in Vienna’s Prater Stadium on a wet May night in 1970 and the 6,000 that saw Magdeburg beat Milan in Rotterdam’s De Kuip in 1974. As the competition started its run-down to extinction, six of the last seven finals failed to reach 40,000. By 1999, the quality of teams taking part in the ECWC was clearly diminishing. Using UEFA data as a guide, the average ranking of the last eight in 1998-99 was 76.75 – which included Lazio, Chelsea and Lokomotive Moscow. Compare this to pre-Champions League 1991-92, when the average was 44.5 (including Werder Bremen, Roma, Feyenoord, Bruges, Tottenham) and go back even further and in 1970-71, the average was 36.75 (Chelsea and Real Madrid). Essentially, though, the expansion of the Champions League was the death knell for the ECWC and UEFA Cup but also paved the way for the continent’s elite to dominate. When Real Madrid reached the final of the ECWC in 1971, they were almost red-faced at being in the cheaper seats after dominating the Champions’ Cup in its early years. Although that smacks of arrogance, it shows that clubs like Real expect to be in the royal enclosure, so the current structure almost guarantees a season ticket in the Champions League for Real and Barca, which is why there will ALWAYS be a place for more than one Spanish club in the competition. There is another aspect concerning relative strength that has to be considered. In this age of monopoly, it is not unsual for the dominant force to win the double, which would have the effect of sending the Cup runners-up into the ECWC. In 2015-16, for example, the double was won in Germany (Bayern), Spain (Barca), Italy (Juve) and France (PSG). So, the desired objective – creating a stronger field – might not always be achieved. Can we turn back before European football becomes a shrug of the shoulders or a flick of the remote control to watch that movie on Netflix? We can never recreate the pioneering days of Europe because migration, free movement, TV and globalisation has, quite naturally, removed the “wonder” and “into the unknown” of it all. It still represents progression, diversity and the chance to see something different from run-of-the-mill bread and butter games. But let’s stop pretending that 79 teams are actually “competing” in the UEFA Champions League and create a landscape that gives clubs and their fans that magic ingredient we’ve always associated with the world’s most popular game – hope, and maybe just a little expectation. Alternatively, take a look at our proposal for regional leagues! Previous Entry Did Napoli blink first?